Editor’s Note: This article was originally posted on Seedstock and written by Abbie Stutzer. We have previously posted about how sustainable agriculture can be used to combat youth unemployment, as well as provide excellent job skills for former convicts. In this article, you will see how sustainable agriculture skills can also help autistic adults get jobs. Since the launch of Green Bridge Growers almost 15 months ago in South Bend Indiana, the organization has focused on growing produce sustainably with aquaponic methods while recruiting young adults with autism to work at the farm. Jan Pilarski, co-founder and CEO at Green Bridge Growers, started the organization with the aid of her son, Chris Tidmarsh, who has autism. Pilarski also saw that everything involved with aquaponics, such as the balancing of water chemistry, scheduled procedures, and specific routines needed to care for plants and fish were skills that were ideal for certain people with autism. “I saw great potential for Chris and others with autism because of the skills required, the local market opportunities, and the chance to contribute to our local community,” Pilarski said. Pilarski was drawn to sustainable gardening when her family emigrated from Poland. “They farmed when they came to the U.S.,” she said. “Everywhere our family lived as I was growing up, we gardened and grew vegetables.” After college Pilarski became a Master Gardener and became acquainted with farming in an urban setting. When Pilarski launched Green Bridge Growers, she began participating in a social venture incubator at the University of Notre Dame. “It prepared us to test markets, do strategic planning and project financial viability,” Pilarski said. At first, the organization bootstrapped funding. But last April, Green Bridge won the Greatest Social Impact Award at the Notre Dame business plan competition. The win has helped the organization find many significant donors. Green Bridge Growers sells produce to local restaurants and stores. It’s also involved with a partnership that grows year round in a downtown Skywalk. Green Bridge Growers also stays competitive by growing what customers want and growing what works. “We have matched what grows really well in aquaponics and what is also quite profitable,” Pilarski said. “We see herbs, specialty lettuces and greens as the base of our sales. 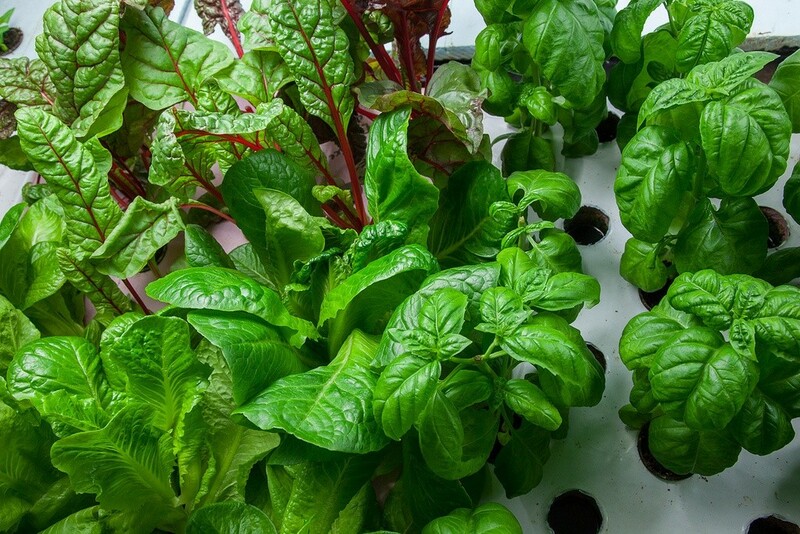 While aquaponic growing is sustainable, the organization also uses vertical growing towers that use space efficiently to achieve high production per square foot. Green Bridge Growers also utilizes integrated pest management and energy-efficient design systems, such as shading, thermal mass, and cooling systems. Currently, Green Bridge is growing basil, flat-leaf parsley, chives, lettuces, kales, bok choy, cress, as well as fall lettuces and kale in its prototype. The organization is in the middle of moving from its original prototype location to a commercial location. While the move is exciting, the founders have a lot of factors to consider.